Companies in a wide range of industries including transportation, manufacturing, retail, finance, insurance, and energy are harnessing RPA to become more productive, more accurate, and more responsive to their customers. 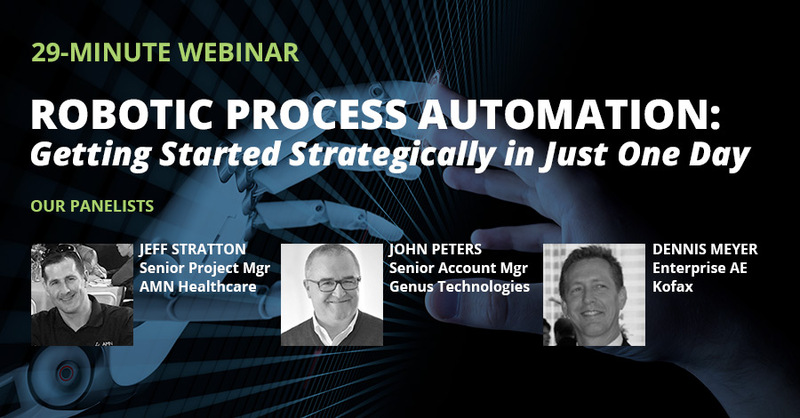 In just 29 minutes, you see that implementing RPA can be fast, easy and strategic. Plus, we’ll build and implement your first RPA robot for free! View the webinar for details.